Cathy was born and raised on Oahu, and now resides on the Windward side of the island in beautiful Kaneohe. She credits her parents, who both instilled in her the value of a good education, the benefits of hard work, and the importance of family. Helping people comes naturally for her, so much so that she earned a Master's degree in Social Work from the University of Hawaii. Cathy's career took her in many directions, including the hospitality industry, retirement and financial planning, and since 2006, Real Estate. She now helps her clients build wealth through real estate, which she feels is one of the best ways ordinary people can leverage their hard-earned money. She especially enjoys assisting newcomers relocating to the island, working with members of the Armed Forces, and investors looking to expand their portfolios. Besides her market knowledge, she generously shares her local knowledge of the islands, from great eating places, to schools, to hiking trails. For her, communication is the key, and she always strives to exceed her client's expectations to ensure a positive experience for them. Cathy is married to an Air Force Academy graduate, and has 2 boys (16 and 14) and their dog Coco to keep her constantly busy and entertained. She believes 100% in the Hawai'i Life: enjoying hiking, fishing, and the beautiful beaches throughout the island. While she bought her first property at the age of 22, her philosophy is: "it's never too late to own real estate, especially in Hawaii". Cathy would love to help you to own a Piece of Paradise! We are thankful to have had Cathy Possedi as our realtor for our recent home purchase in Ewa Beach. We connected with Cathy about a year ago, when we were undecided on our plans to relocate to Hawaii. Cathy's knowledge of the market and going the extra mile without knowing us at that time or what we were actually going to do, was a real testament of her commitment to helping her clients at all levels. From our first phone discussion to our final home closing, that commitment has never waivered. She is fantastic, tenacious, knowledgeable and a very dedicated professional who pays attention to details and kept great communication with us through the entire purchase process (whether it was by phone, text or email). She stayed positive every step of the way especially during times when the waters seemed rough. Cathy is an overall wonderful person and someone we were lucky to have represent us. Cathy Possedi is extremely professional. She found us our dream home. We love our new house it is everything we could have ask for and more. I would highly recommend Cathy to anyone that is seriously looking for a home or to anyone looking to sell their home. Cathy has been our real estate agent for 5 years. We were new to the island and found her online. We got lucky because she has been the best agent we could have asked for. She helped us find our 1st home on the beach in Ewa five years ago. We just recently sold it. She found the buyer on day 1 and got us ABOVE asking price! The process was easy and she went above and beyond to make the process simple for us. She also helped us with our condo purchase in Waikiki! 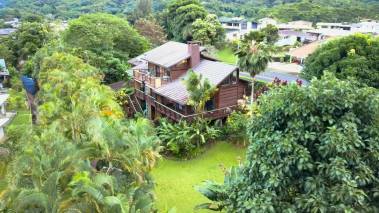 Which will be seen on HGTV's show HAWAII LIFE!! It was such a fun experience filming the whole process!! If your an investor, 1st time buyer or selling. Go with Cathy! You will be so happy you found her!! We sure are! Cathy is by far the most professional real estate agent whom I have ever had the pleasure to work. She is knowledgeable, trustworthy, funny, and makes you feel that you are a part of her family. I never once doubted her recommendations or guidance. She inspired an unparalleled level of trust, and I never once felt alone in my home-buying experience. I can, without any reservation, recommend Cathy as one of the best. If you are buying your first or third home, Cathy Possedi deserves your attention. She is a gem. Cathy provided excellent information that allowed me to quickly select the perfect home for me. Her knowledge of the area and business contacts proved to be invaluable in my search. I wouldn't trade her for another realtor if they were giving away homes. 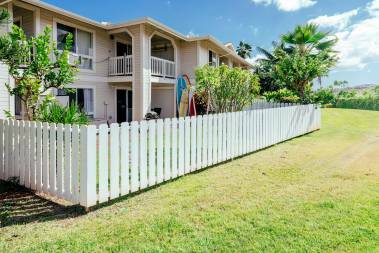 Cathy's superior professionalism as well as outstanding hospitality made the entire process of purchasing our dream home in Ewa Beach extremely pleasant. Being a military family, currently stationed in San Diego, it is difficult to find a realtor who would put in the time and commitment in assisting us to find the right home. Cathy knew we were on a tight schedule and planned out a day by day agenda which I believe was imperative to us finding the right house for our family to grow. We did not feel rushed or obligated to purchase a home and do believe we were fortunate to have a realtor who understood exactly what it was we were looking for. From the moment we landed on Oahu until the moment we left, Cathy made us feel welcomed and that Hawaii was truly a place in which our family can call home. Cathy has our highest recommendation. Cathy from the start made us feel like we were the only house she was working to sell. During open houses Cathy would go above and beyond as she showed the house or fixed something to help the house sell. Throughout the closing process sure the steps were easy to complete and done on time as not to miss closing. I used Cathy when I came to the island two years ago. She did such an outstanding and professional job I knew I wanted to list with her to sell. Cathy's knowledge of the market and the growing housing market ensured I received top dollar for my home and another young family could enjoy the home. Cathy Possedi's performance has been absolutely superb. Her dedicated efforts while assisting me in my home purchase while I was living on the mainland in Tacoma, Washington was crucial in saving me valuable time and resources before locating to Hawaii. Cathy was instrumental and took it upon herself to do as much as in her reach and then some. She was always willing to go out of her way to accommodate my inquiries on several different homes spread all over the island, from South Shore to the North Shore and everything in-between. As my realtor she promptly replied to my first inquiry on a home and had all the info within minutes and a willingness to provide me with a 'virtual showing' through her iphone, since it was impossible for me to be there, and pointed out all that she could see. I had her criss-crossing all over the island for months in search of that one perfect 'house'. I felt as though I was her only client and her entire focus was on me and it was a HUGE comfort because I couldn't be there in person, so she provided the next best thing 'virtual showings', while other realtors backed off and said 'wait til you get there then you can see in-person'. Not Cathy, her attention to detail and dedication is unsurpassed, as she ensured that all my questions and concerns were effectively answered and directed me in the right direction. Absolutely phenomenal performance by a gifted and professional realtor, her work ethic is beyond reproach. I met Cathy a couple years earlier but due to personal reasons had to put my search for a home on hold. I was able to try again in 2013. Cathy's professionalism, knowledge, integrity, patience and understanding made her my best and only choice. She was very proactive in keeping me updated on any new prospects & very accommodating with my schedule to view them. She was very knowledgeable and would get back to me promptly when I left a message or had a question. She was very easy to talk to. I never felt like I was alone in the journey to find my new home. When my condo came up she made sure I was aware and promptly scheduled a viewing. She reviewed the area and made sure the price was comparable and fair. I trusted that she would have my best interests at heart. We discussed a fair and acceptable bid that would give me a highest chance to get the property. Within a week the awesome news, I was accepted. She helped me through the process step by step making sure all deadlines were met so nothing would be delayed. It didn't stop there, after I moved in she was there with congratulations and asked if I needed anything to just call. She continued her above excellent service even after the ink had dried. 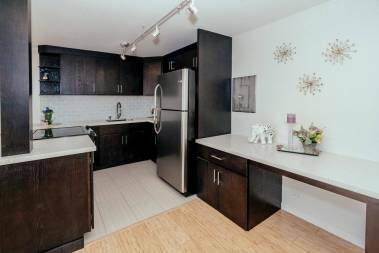 Cathy is one that I would whole-heartedly recommend to anyone needing a new home and certainly deserves to be recognized and awarded as one of the best. Cathy was awesome and a pleasure to work with. She always kept us in the loop and was very responsive to our needs. Her service was Excellent...She got us a great house!